Aqua Plus will release Tears to Tiara: Kakan no Daichi July 17, 2008. It will be a PS3 game. 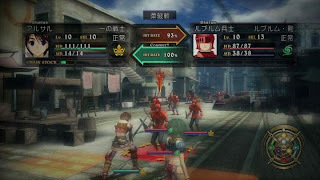 the game is based on the PC version with enhanced graphics, CG scenes, game system and additional scenarios. The story is about a girl named Rhiannon who released a demon lord Arawn who was sealed away for over 1000 years, they travel together and Rhiannon became emotionally attracted to him. 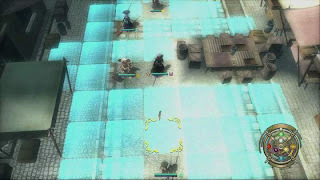 This tactical simulation RPG will be available for 7140 yen in Japan. This game shows some promise. The CG scenes are in old-school syle anime. The battle scenes seem to be exciting! I'm actually looking forward to this game! There have been many complaints from gamers about certain online lagging. The PS3 version seems to have some problems with the overload of gamers in the gamespy.com servers. Rockstar has released a patch for PS3 gamers that will handle players flow better. "Rockstar Games has released a GTA IV patch for Playstation 3 today that prevents Gamespy's servers from being overloaded and therefore reduces the impact on those servers that were causing the game to stutter and lock up," said Rockstar in a statement. "We continue to monitor the performance of the game both on and offline and will provide further updates as necessary. We want to assure everyone that, together with our hardware partners, we continue to strive to give our fans the best possible interactive entertainment experiences possible. This update will ensure that everyone will experience Grand Theft Auto IV the way it was intended. We apologize for the inconvenience this has caused." I have finally played GTA IV tonight at my friend's. I played the X360 version, which was pretty cool for the X360 I might say. The game has really improved over the last installment! The graphics have been enhanced among other things. I didn't get to see the storyline though, which's sad. But what I have seen is quite enough. 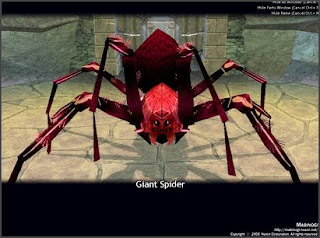 What grabbed my "WOW's" so much was the physics engine! I don't know what engine they used but it was pretty cool. It simulates realistic object interaction! 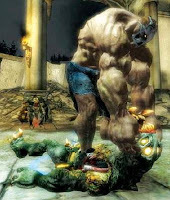 If you shot a guy in the knee, he would crumble to the ground face-first beginning with his shot knee! If you pushed a guy down the stairs, he might trip and fall over! I mean these reactions are pretty much beautiful. The graphic detail was also breath-taking, not in the beauty-wise sense, but rather in the actual details. For example, the detail on the tires of the cars! I can't possibly just set here and explain everything in detail, so if you haven't already bought the game, please do! This game is to die for! 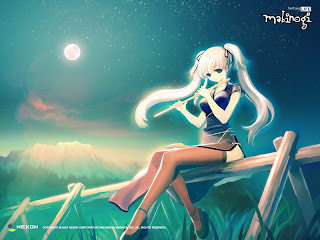 Mabinogi is only open to those who reside in the North American region. If you are not in this region you will be unable to play Mabinogi. 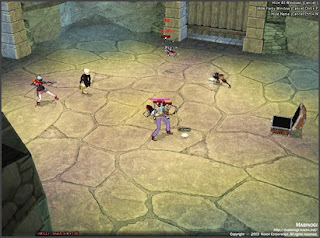 We do not have any information available if Mabinogi will be released in any other country." As you can see, everyone in the world won't be able to play the game! Well, a game that doesn't want players is really unheard of! I'll keep you up-to-date if they finally decide to include "outsiders". On the other hand if you're in North America, you can enjoy this wonderful game. 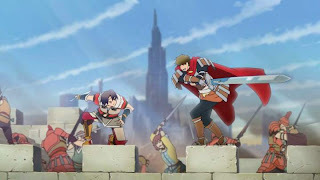 The main features of the game include, interactive real-time battle system and fantasy life! Bandai Namco is releasing a new installment in the classic action series. The release date is aiming for a 2009 release on the rival systems, X360 and PS3. These images look great! I don't have much knowledge of this game (or rather series) but I think the main character here looks alot like Jason from the movie "Freddy Vs Jason", doesn't he? Nevertheless, this game shows some potential success, but only time and we (gamers) will decide. 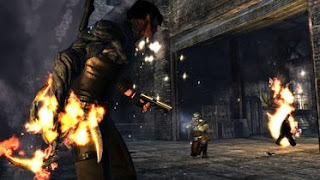 On May 2, 2008, GameSpot made an interview with the creator of the TPS (Third-Person Shooter) Sci-Fi shooter game "Dark Sector". Director Steve Sinclair spoke about the game's various strengths and weaknesses. The Interview. <--- click here. 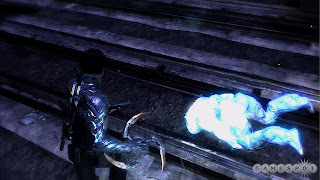 Dark Sector by Digital Extremes. That's the message I got! As I looked more into the matter, I found out via the forums that this message meant that the game isn't available to other countries beside US and Canada! I mean, C'mon! I didn't even get a heads up from the site ( maybe in their user agreement or something but no one reads that stuff, anyway). So I did the only logical thing and sent a message to the game staff requesting them to explain themselves. When I get the reply I'll post the update here. that Rockstar North's latest offering is something quite special." 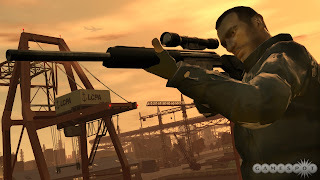 without some flaws, but GTAIV is undoubtedly the best Grand Theft Auto yet." This game is supposed to be out for both the X360 and PS3, so get up on your feet and run as hell to your nearest games store and buy this juicy game! I just found out recently that Square Enix is going to make a horror adventure game! It's story goes around a 20 year old university student, one day he and his friends received notes of "The game of curse", which said you are cursed, and you must pass the note to other people or you will die within 1 week. You and your friends laughed at the notes, but after that everything suddenly changed around you, your friends died one by one in horrible incidents, and it will soon be your turn, you must find a way to escape death. 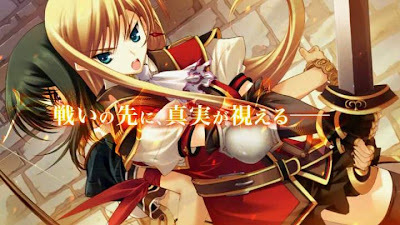 The game seems to be released July 3, 2008 in Japan. I hate to break it to you folks, but this game is to be released for the Nintendo DS! Yeah, a great shocker for me as well. 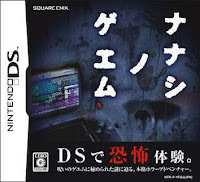 I mean when Square Enix finally decides to dive into the horror/adventure genre, they had to bring their little experiment to the NDS! I don't have any grudges against the DS, only is that I don't own one and don't plan on doing so neither.